Girl Kuripot Girl Kuripot: Join a Free Postal Heritage Tour! There's a FREE Postal Heritage and National Heritage Month Tour happening in Manila this month and there are still some slots left! The itinerary includes the Arroceros Forest Park, Aduana, Plaza Roma, Manila Cathedral, Postal Museum and Library, Liwasang Bonifacio, Metropolitan theater and many more. The tour date is on February 20, 2011 (Sunday) 12:30 p.m. onwards. 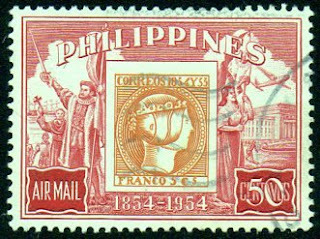 It is organized by the Filipinas Stamp Collectors' Club in cooperation with Philpost, Museo ng Maynila, Intramuros Administration, National Press Club, Winner Foundation and the Department of Education Culture and Sports. Pre-registration is required. Make sure you contact them before February 16, 2011!